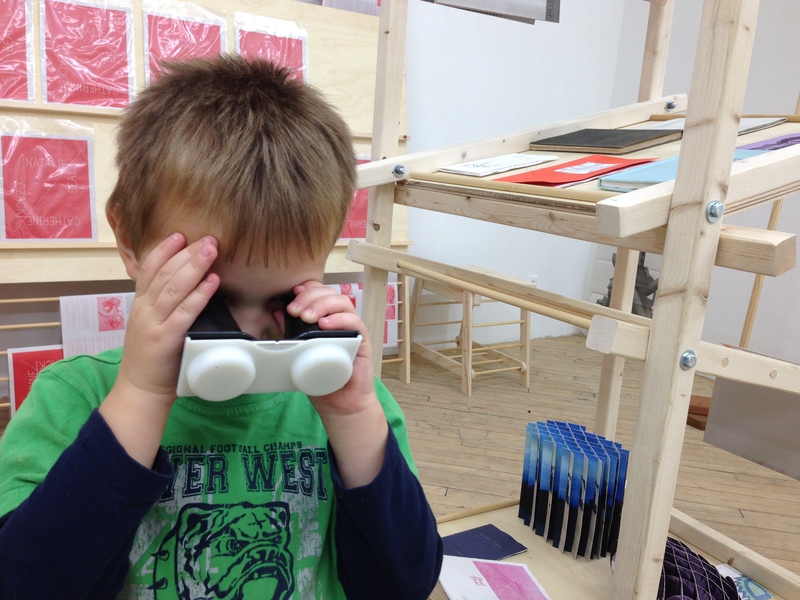 The Floating Library wins Knight Arts Challenge grant. 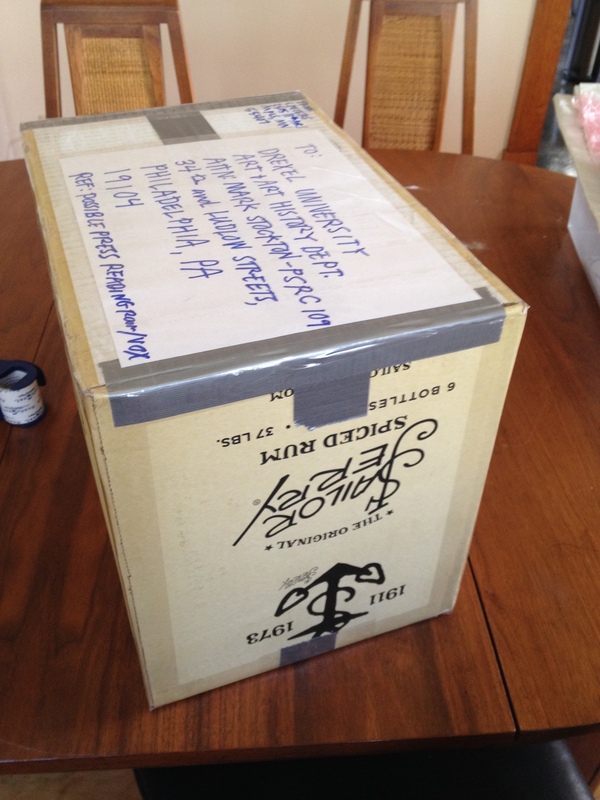 St. Paul, here we come! Last week the Knight Foundation announced the winners of the 2015 Knight Arts Challenge, a matching grant that supports individual artists, arts orgs and really anyone who can get it together to make art happen in the City of St. Paul. The Floating Library is among these winners! I attended the fancy awards ceremony where in addition to being gifted a glass plaque I met many of the other awardees who are cooking up fascinating projects for our state’s capital city. My grant proposes to bring the Library to Lake Phalen, one of St. Paul’s largest lakes. 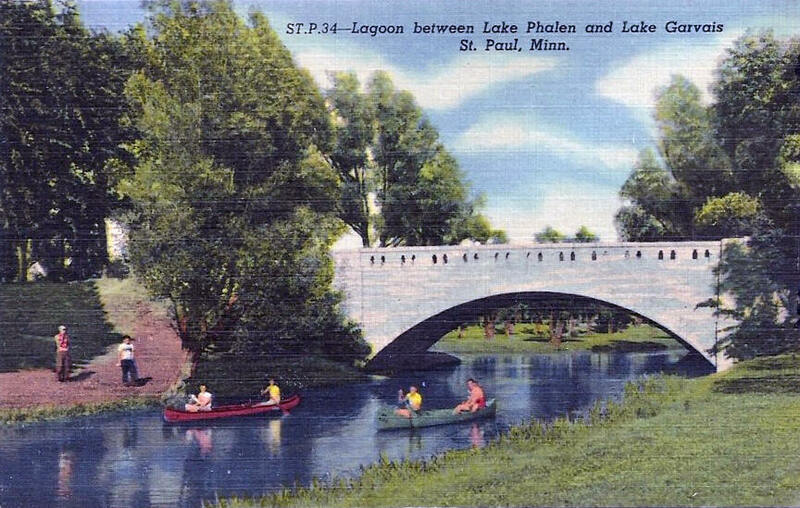 Phalen is of interest because it has a history of boating, once playing host to many hundreds of canoes on its shores. These days at Phalen you’ll find Dragon Boat races, sculling lessons, and a lot of people fishing. 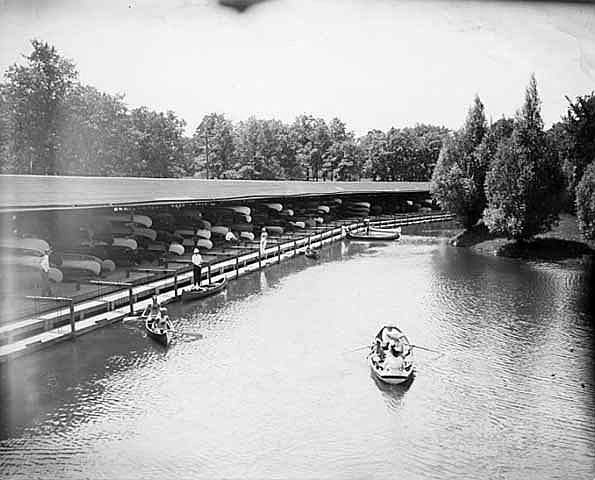 Of course, our goal will be to bring back those 880 canoes, all headed out to read on the water. There is a lot of planning and organizing to be done, including raising the matching funds. If you have ideas for artists, partners, or connections in St. Paul, be in touch. For instance, who lives near Phalen and has a motor boat? We’ll need of a tow or two. For those Floating Library fans who’d rather peruse the shelves from the stability of solid ground, make your way to Philadelphia this month where a selection of FL books are on view. 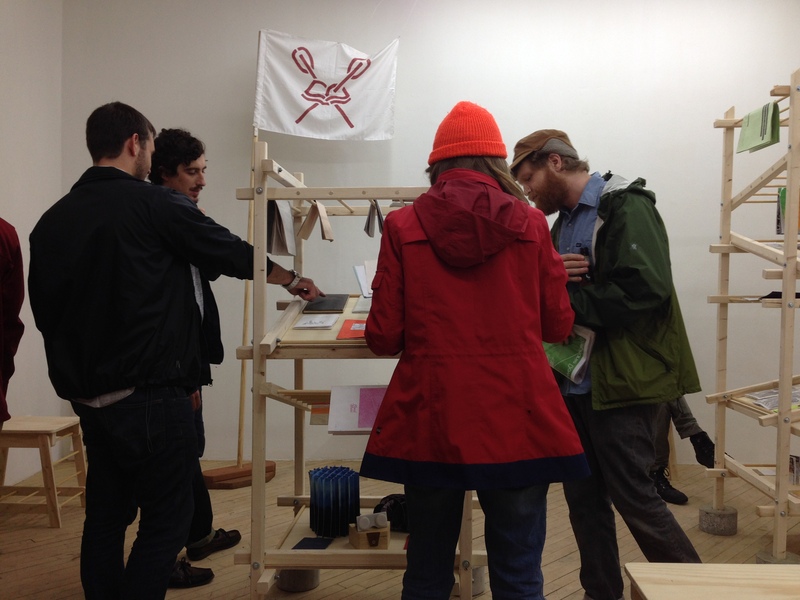 They’re part of a reading room at Vox Populi gallery, one of several sites to host exhibitions and programming as part of a city-wide project called Alternative Currencies. Our friends at Possible Press invited the FL to contribute a selection of books that now have the special designation in the catalog of being “drowned and rescued.” Wrinkled and mildly faded with their taped spines and we’re gonna survive attitude, these books were packed into a Sailor Jerry’s Spiced Rum box and shipped off to Philly right before the Pope landed ashore there in mid-September. 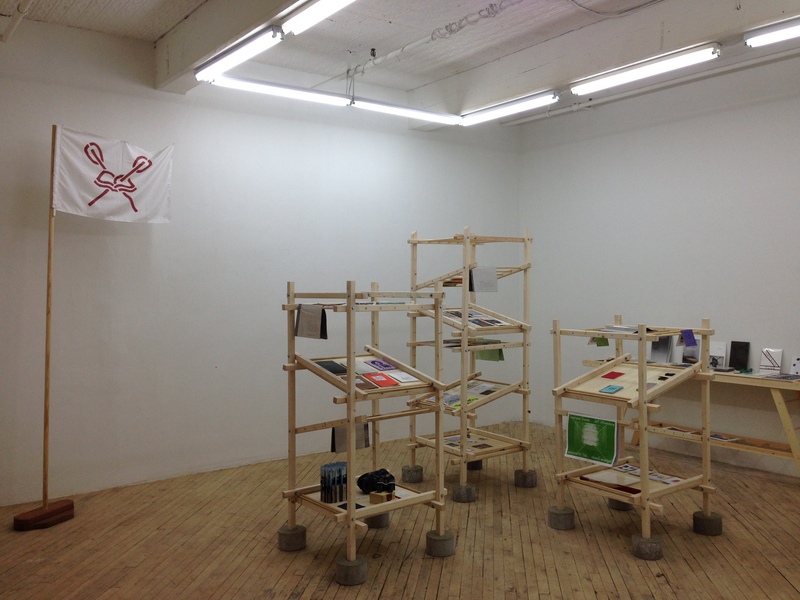 In the gallery the shelves mimic laundry drying racks and the FL flag flies windless while pinned to the wall. You’ll find favorites such as Areca Roe’s 3-D viewfinder set, Jess Zeglin’s Friendly Microbe Coloring Book, and the two books that were dipped twice: A Book Dipped in Two Lakes (intentionally), Flood Music (unintentionally). Alternative Currencies is a gathering of independent contemporary arts groups from around the U.S. to talk about what it means to stay “alternative.” I’m sad to not be there for the discussions, as this question didn’t get as much play at last month’s otherwise overwhelmingly enriching Hand-in-Glove conference. It’s certainly on the brain of the Floating Library now, as the cold, dark creeps in and we try to find a wood-burning stove around which to write grants, dream and plan for the future. (Some exciting news coming soon…). ‘Til then, give us a report from Philly if you happen to stop by!